It is always vital to change your grips at least once or a couple of times a year. But, what is even more important is finding a high-quality replacement set. The 13-piece Tour Wrap 2G standard grips from Golf Pride are as good as it can get. They are standard size high-tack rubber grips with an incredible texture and feel, and they are also very long lasting. It is always vital to change your grips at least once or a couple of times a year. But, what is even more important is finding a high-quality replacement set. The 13-piece Tour Wrap 2G standard grips from Golf Pride are as good as it can get. They are standard size high-tack rubber grips with an incredible texture and feel, and they are also very long lasting. The grips come in an appealing traditional style. And they are also simulated style wrap grips with an attractive dot pattern. Although they do not come with grip tape or solvent they are still quite easy to install once you buy them. The grips are also available in a variety of colors that include blue, black, red and white. 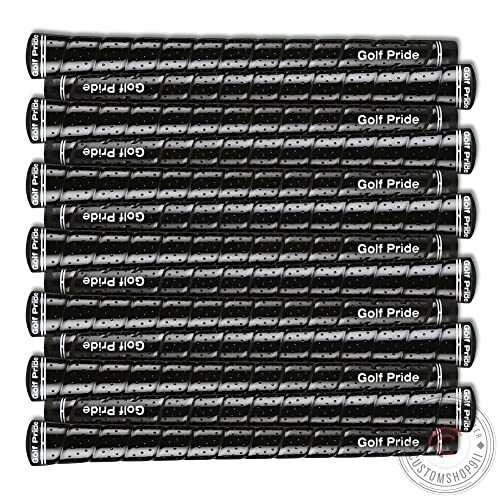 Material: Golf Pride uses a soft and tacky rubber material to make these grips which is what gives them their amazing feel and fantastic grip. Also, rubber is a highly durable material that ensures these grips will serve you for many rounds. Feel: If you prefer to use something with high tackiness this will be a perfect grip option for you. Also, they have an excellent and light surface texture that makes them feel soft and comfortable in the hand. Size: These are standard size grips that will be a great choice for all types of golfers as they are ideal for both large and small hands. Style: They come in a traditional style that not only gives them an attractive look but also makes them highly comfortable for all kinds of golfers. Also, they are one-piece simulated wrap style grips and with a small dot pattern. Colors: Although black seems to be the most popular color for these grips, it is important to note that they are also available in other shades like red, blue and white. Complete set of grips for all your clubs. Durable and shock-absorbing rubber material. Standard size suits most types of players. Excellent texture for a firm grip. No tape or solvent for installation. There are no alignment markers. Relatively expensive when compared to others grip sets. The extra tackiness means they get dirty easily. A little slippery when wet. When it is time to replace the grips on your golf club set you should never settle for anything short of the best as the grip affects your game more than you might think. 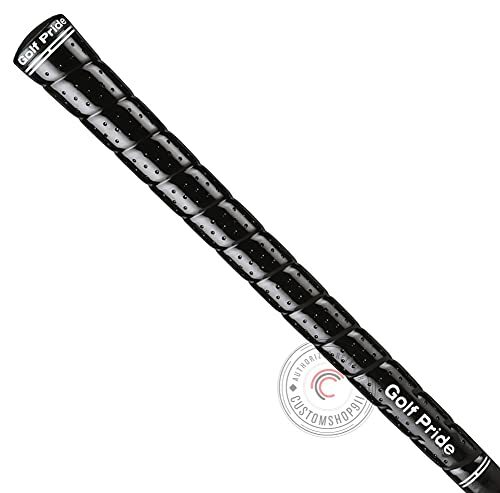 And the wrap 2G Standard set from Golf Pride has all you need in a grip. The high tackiness, soft and comfortable feel and the excellent texture will provide a comfortable and firm grip so that you always get some productive swings. Also, each of the grips on this 13-piece set is made of a durable rubber material to ensure that they last for several rounds. And they also have a very appealing look that helps to boost your confidence when lining up for a shot. Although the grips also have some shortcoming like the fact that they feel a little slippery when wet and tend to get dirty easily, there is not any significant con. Hence, these are perfect replacement grips for all golfers and you will never regret buying them.